Braces are the perfect way to achieve a beautiful straight smile. 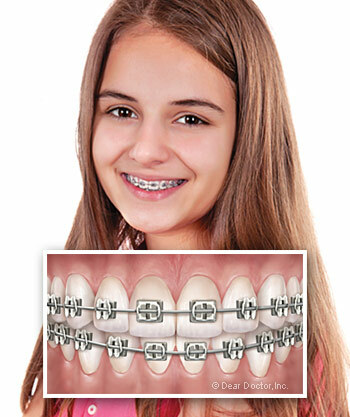 For the majority of orthodontic patients, traditional metal braces will be their first choice. However, metal braces are no longer the only way to straighten your teeth. At Scott Orthodontics, we can provide the best and most effective treatment for you. With locations in Silver Springs and Mitchellville, our experienced staff conveniently serves the greater Bowie area. There are two categories of braces: fixed and removable appliances. Fixed appliances are attached to the teeth by metal bands (metal braces) or a special cement (ceramic braces). They aren't normally taken off until treatment is complete. Removable appliances, like Invisalign, are made up of clear aligners. These are typically worn for 22 hours per day, but may easily be taken off as needed. While clear aligners can be effective in treating mild to moderate orthodontic problems, fixed appliances are generally needed for more comprehensive treatment. Dr. Scott can assess your orthodontic needs and fit you for fixed or removable appliances, he will find the best option for you! 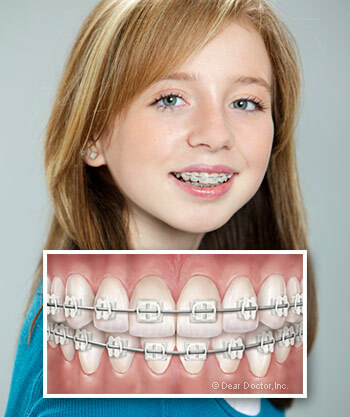 Depending on your teeth and specific orthodontic needs, one type of braces may be more appropriate and effective than another. Dr. Scott and our staff would be happy to talk through all of the orthodontic treatment options with you. We realize that each patient has different needs and specific smile goals. Because of this, we always want to ensure that the most suitable method is chosen for you, whether that means metal braces, ceramic braces, or Invisalign. Call or stop by one of our two locations in Silver Springs or Mitchellville, MD, both in the Bowie area, to discuss your options today. A beautiful, straight smile is right around the corner. Let us help you achieve it!